On November 15, 2004, the National Academies sponsored a symposium at the Beckman Center in honor of Arnold O. Beckman. 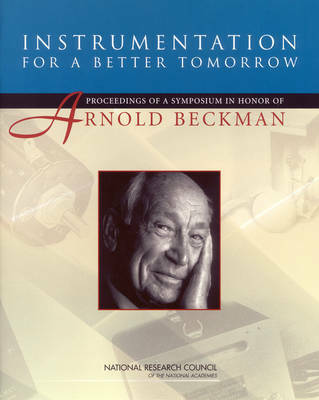 The symposium concentrated on the wide-ranging practical applications of scientific instrumentation as was the focus of much of Arnold Beckmana ™s career. The report begins with two presentations: a remembrance by Arnold Beckmana ™s daughter, Pat, and an overview of his life and accomplishments by Arnold Thackray, President of the Chemical Heritage Foundation. The next section contains presentations on the application of instrumentation in seven, diverse areas: organic chemistry, molecular and systems biology, synchrotron x-ray sources, nanoscale chemistry, forensics, and clinical medicine. Finally, there is a summary of a panel discussion on the evolving relationship between instrumentation and research.